The first time the name Ricardo “Slicky Ricky” Williams appeared in Cincinnati Magazine was in February 1995. It was in a story entitled “The Wizard of Boxing,” which chronicled the life of the late Roy Dale, a one-time Golden Gloves Champion and mentor to Cincinnati boxers at his gym on Findlay Street. Williams, then a 14-year-old, was quoted as saying that Dale’s gym taught him discipline and respect. “It keeps me away from the bad crowd,” said Williams. 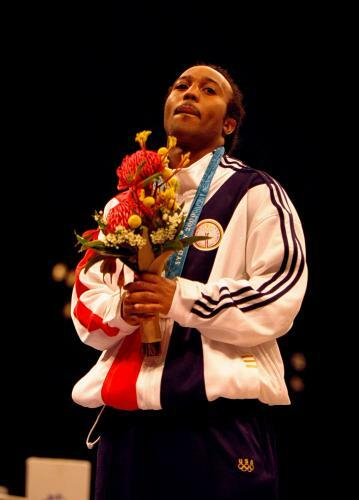 Ricardo Williams receives his silver medal at the 2000 Olympics in Sydney. Not long after that story, Williams began his ascension into what would be one of the most decorated amateur careers in recent American boxing history. He was the 1998 National Golden Gloves Light Welterweight Champion, and won the United States Amateur Light Welterweight Championship in both 1998 and 1999. 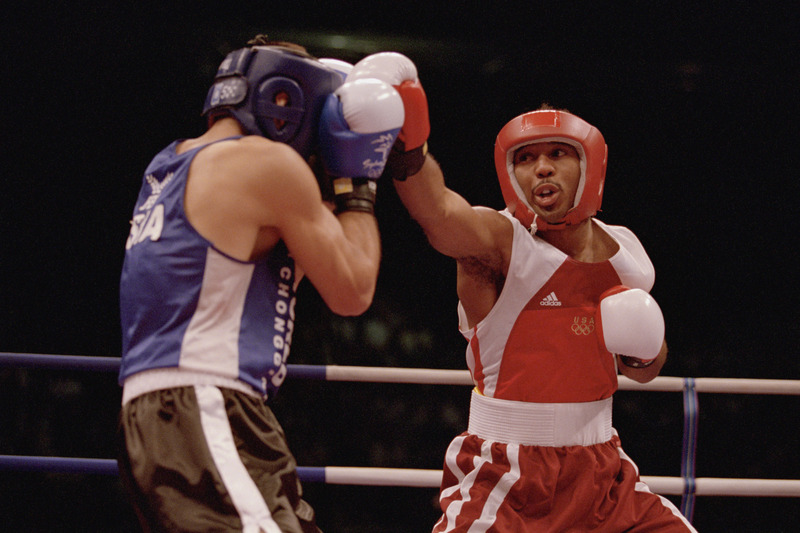 Williams represented the United States at the 2000 Sydney Olympics, and was the favorite to win gold at light welterweight. That focused mindset proved effective. He notched victories against Henry Collins of Australia, Ajose Olusegun of Nigeria, Aleksandr Leonov of Russia, and Diogenes Luna of Cuba to advance to the gold medal match. There, he fell to Mohamad Abdulaev of Uzbekistan on points, 20-27, taking home a silver medal. It was best result out of the nine times a Cincinnati boxer has competed in the Olympics. “To end my amateur career like that was beautiful,” says Williams. Williams was considered far and away the best boxing prospect of the Sydney Olympics. He returned home to a $1.4 million offer to turn professional from promoter Lou DiBella. Williams began his professional career Jan. 27, 2001 with a TKO victory against Anthony Simpkins at Madison Square Garden in New York. Although he remained unbeaten through his first nine fights, Williams’s performances and physique were often underwhelming. His questionable work ethic in the early going of his career caught up with him in the form of a shocking loss to the unheralded Juan Valenzuela in his 10th professional fight. Two bouts later, in a fight intended to boost Williams’s confidence and resume, he dropped a unanimous decision to former WBO Welterweight Champion Manning Galloway, who was 43 years old and a full decade removed from being a relevant contender. With his career in disarray, Williams didn’t fight again for over a year, after which he’d face far more difficult challenges. In 2005, Williams was convicted of conspiracy to distribute cocaine, which was being shipped to Cincinnati via FedEx, and served 31 months in prison in the midst of what was supposed to have been his fighting prime. After his release from prison, his boxing career experienced a quick resurgence, albeit against inconsequential competition. In his return to the ring in June 2008, Williams KOd Sebastian Hamel in just 91 seconds. He won his next eight fights, leading to his only shot at a professional title of any kind. But on December 15, 2011, he was easily finished by Carson Jones in a contest for the USBA Welterweight title. He has fought only three times since then, and not at all since 2014. His record stands at 19 wins, and 3 losses.